Wow, I am making this today, thanks. Those peaches look beautiful. 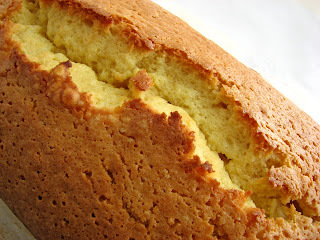 I was just looking at the olive oil cake recipe yesterday - so tempting to make it! i love Sherry. which is only a little embarrassing because my friends still think of it as a grandmother's drink. this is an awesome way to incorporate it into dessert. I just got to the country for the weekend and cannot believe my luck. In addition to Tio Pepe, I actually have Amontillado sherry. 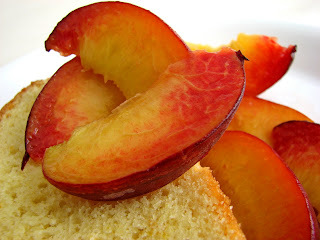 I won't find gorgeous peaches, but I will make the cake anyway. Your description of the cake is lovely. That alone makes me want to make it. The peaches are magnificent!! You have first peaches, I just have first peach blossoms. Sigh. Pietra and Victoria, I hope you enjoy the cake. Taste on the second day and see if you don't agree that it really benefits from snoozing quietly in a corner for a bit. GooberNGrape, I know! I almost didn't post this because I know people think of Sherry as old fogey kind of thing. Same thing with prunes. I'm going to have to find the nerve to post a prune pastry some day. So delicious. Anonymous, let's hope your blossoms will give way soon. It seems the season here is late. 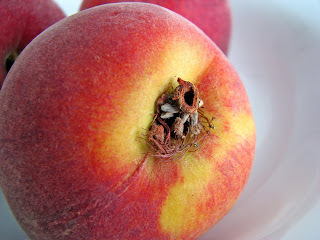 I'm hoping for my favorite apricots and figs SOON! sorry, off-topic, but i know what you mean about prunes! but now i thank Zuni for inspiring me to use them with flavors like tea and citrus, red wine, Armagnac, or (Summer!) lavender. finally, wonderful adult flavors and textures. cake looks so moist and it must smell like heaven! 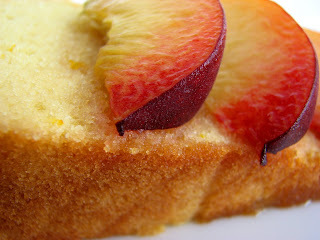 WOW, they all look great...I haven't had pound cake for a while...your looks and sound terrific with sherry...yummie. And the peaches with the lemon honey syrup...really great. You have nice pictures. getting ready to make this. can you speak to the reason for cold eggs? Hey, GooberNgrape, I think the reason for the cold eggs is that, exactly opposite of a butter cake, the cold eggs will hold the emulsion with the olive oil. Just lovely. I like how the colors blend.